We asked CRS’s Michael Sheridan, who also generously contributes to this publication, via email more about the forthcoming program and what shape it may be taking in improving the health of the coffee sector, and about the involvement on the part of the buying side of the industry through establishments such as the forthcoming project advisory council. What will the vetting and selection process look like for the CRS Coffeelands Council? And will all of the people/organizations representing that council be from the industry side? 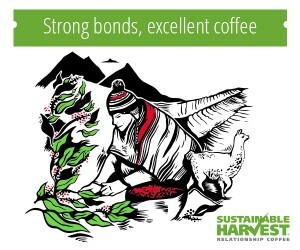 The Coffeelands Advisory Council will expand on a similar construct we introduced in connection with our Borderlands Coffee Project in Colombia beginning in 2011. In that project based in Nariño, we carefully selected the members of the Borderlands Advisory Council on the basis of a thorough analysis of market opportunities for Nariño’s coffee. The companies we invited to join the Council there all source quality-differentiated and/or certified coffees, which were the two segments of the marketplace where we felt there were untapped opportunities for Nariño’s smallholder farmers. And their models all involved direct and transparent sourcing, which was so important in the context of Nariño because our work there has been as much about increasing the market intelligence of smallholder growers as it is about fostering new trading relationships. In the case of the Coffeelands Advisory Council, we will be engaging with companies across many origins with opportunities that are very different without the benefit of a market analysis in each one to suggest precisely which companies might be the best fit for each one. 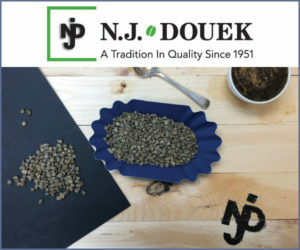 In order to bring as many perspectives to the table and create complementary commercial opportunities, we will be seeking companies in different segments of the market with different requirements for cup quality and volume, from companies that source relatively small volumes of higher-quality coffee to companies that source larger volumes of coffee that is comparatively lower-quality. What we don’t feel we can compromise on is a commitment to collaborative engagement with other supply chain actors and price transparency. 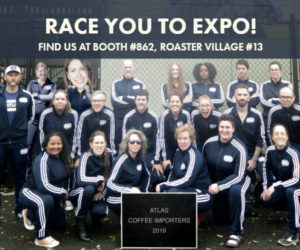 Is all of the funding from the CRS Coffeelands Program coming internally from CRS? CRS has committed $4.5 million in private funds over three years to this program. We are working to leverage that funding to attract additional investment for field-level innovations. We want to use the program as a platform for investing risk capital in new business models or other field-level innovations that have potential to create more value for everyone in the supply chain, but especially smallholder farmers and farmworkers. We can’t finance those investments in their entirety, but we can invest seed capital to develop those opportunities. And we can help implement them in ways that protect the most vulnerable actors in coffee supply chains from risk and document the results for further refinement of good ideas. We are also seeking investment for actionable research that can inform decisions on the farm, in the policy process and in the coffee industry. We are not a research organization, but our global footprint and continuous presence in the field position us to link researchers and industry with growers and farmworkers in ways that create real opportunities for research and learning. What role has the program in Nariño contributed to the shaping of the CRS Coffeelands Program, particularly as it may relate to partnerships with industry? The Coffeelands Program design is something we have been working on in one way or another over the past 8-10 years. We used opportunities we had in Colombia with the Borderlands project to test a lot of the ideas we were developing for the Coffeelands Program, so there is definitely a lot of overlap between the two. 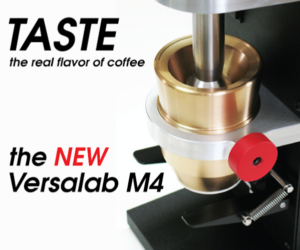 The Advisory Council construct you are asking about is perhaps the best example of something we field-tested in Colombia and tweaked before introducing it to the Coffeelands Program design, but it is not the only one. Our action research collaboration with CIAT and our explicit influence orientation are two other elements of the Coffeelands Program that we tested and refined through our Borderlands project. In what ways, specifically, do you envision the new program addressing issues facing farmworkers? 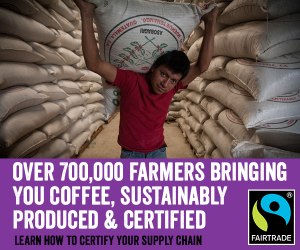 The tools that most coffee companies use to identify and address challenges related to farm labor in their supply chains are certifications and third-party verifications. There has been generally very little engagement beyond those approaches, so we have a lot to learn collectively about the state of farm labor in coffee. We have reviewed the research that is out there and done some original research into farm labor in the coffee sector in Brazil, where the country’s dual commitment to both progressive labor laws and progressive transparency laws favor such research. And we are working now to develop research partnerships with organizations that have lots of experience in the coffee sector. We believe that the results of this research will represent an important contribution to the emerging conversation on farm labor in the coffee sector. In the meantime, we will seek opportunities to advocate for policies that protect vulnerable workers — policies like the Business Supply Chain Transparency on Trafficking and Slavery Act of 2015 currently in committee in Congress. And we will look for models of farmworker engagement and empowerment worthy of greater visibility and investment and work to support them. These may seem like modest goals, but we are just beginning the conversation about farm labor in coffee in earnest. We participated in the efforts to raise industry awareness on issues relating to seasonal hunger in the coffeelands, and it took several years before the message set in and we started to get traction. It is a patient process. Since then, we have worked to integrate our coffee value chain and water resource management programming. Paul led the development of the concept we call “Blue Harvest,” a territorial approach to water resource management that seeks to create financial incentives for sustainable coffee-based agroforestry that increases the amount of greenwater available to support the production of coffee and other rain-fed crops — especially in times of drought — and delivers more clean bluewater to users downstream. Blue Harvest also supports technologies that reduce water use in the milling process and effectively treat the water that is used. But Blue Harvest isn’t just a watershed management project. 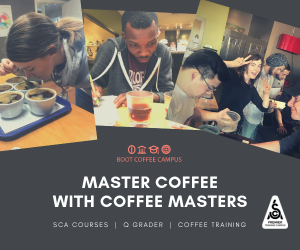 It is explicitly designed to be embedded in coffee value chain programming that links growers with buyers who value and reward for the kinds of production and post-harvest processes that reduce water use and increase greenwater and bluewater. This cross-sector integration aligns the financial incentives created by the market with the kinds of agroforestry practices we know to conserve and rebuild water resources that millions of people downstream from the coffeelands depend on. But the real impact of the Blue Harvest approach comes when it is applied at the watershed or territorial levels. 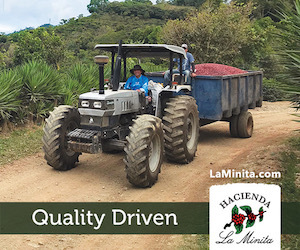 There are many places throughout the coffeelands where a small number of farms commit to apply the best conservation agriculture practices, reduce water in the milling process and treat their wastewater carefully before releasing it into local waterways. 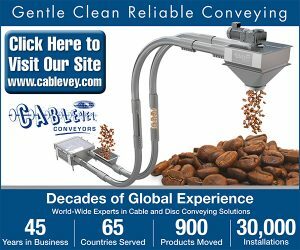 Often, they do this to comply with certifications, corporate sourcing codes or other external environmental performance standards. But when their neighbors don’t follow suit, the impact of their work is mitigated or erased entirely. 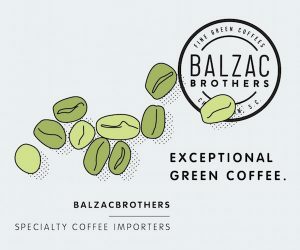 This kind of isolated approach — a few farms in specialty supply chains applying platinum-standard practices on green farms in an otherwise degraded landscape — may be good for marketing, but it is not very good at driving positive environmental impacts or rehabilitating the coffeelands. 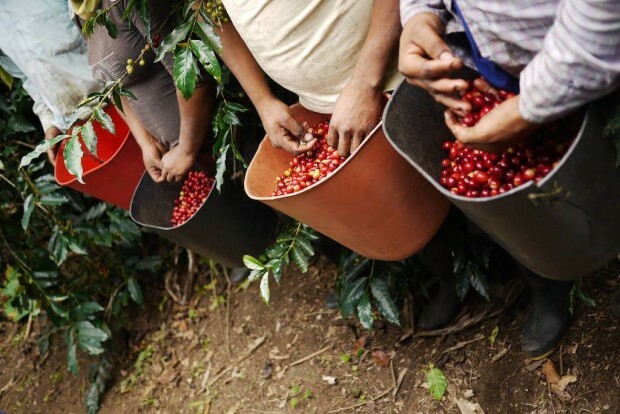 So far, CRS has attracted investments from Keurig and the Inter-American Development Bank in the Blue Harvest program and continues to seek other investors. Meantime, we will build the approach into all the new projects we develop as part of the Coffeelands Program to advance our vision of coffee as a “hero crop” in an era of accelerated climate change. In what way might the Advisory Council help shape your efforts? 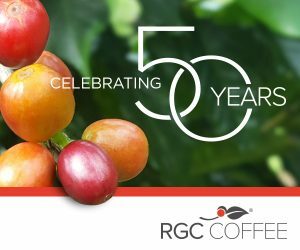 We ask members of the Coffeelands Advisory Council to deliver market-based advisory services to growers and other stakeholders associated with our projects in the field, and to support their commercial goals through the purchase of coffee from project participants, but only when it meets their standards. One of the reasons the approach has worked so well is that membership is based on mutual interest and the pursuit of mutual benefit. We believe that the companies on the Council can deliver something of value to stakeholders in our projects and the companies on the Council believe that stakeholders in our projects — and our projects themselves — can deliver something of value to them. What Advisory Council members bring to the table is vitally important for the smallholder growers who participate in our projects, but their vision and advice can also have influence beyond the participants in our projects. Because we connect members of the Advisory Council to projects that are explicitly focused on policy influence and cross-sector engagement at origin, we will bring them into direct contact with policymakers and other key stakeholders in coffee origins around the world. This gives policymakers and leaders in those places the opportunity to hear the perspectives of influential market actors on what kinds of public policies and investments would respond to the needs of their specific companies or their segments of the market more broadly. This has happened in our work with the Borderlands Advisory Council in Nariño, where the governor and his team have taken advantage of visits by the Advisory Council to solicit their perspectives on how to unlock the latent potential of the region’s coffee sector. And the counsel they gave has influenced the way Nariño has invested in its coffee sector. A similar dynamic happens within the Advisory Council context on the research front. Advisory Council members have also informed the focus of our research efforts by identifying what they see from their perspective in the marketplace as key learning questions or information gaps. In turn, we are able to deliver to Advisory Council members the results of research on those and other issues that uses quantitative and qualitative data from our project— actionable information that requires the kinds of investments in research that are hard for many companies to make. The Colombia Sensory Trial is the best example of this. You’ve mentioned that the new program will branch out into new regions of origin in which CRS has not previously been active on the ground? What criteria do you use in selection places of programming? Are you approaching it by first finding the most vulnerable populations? 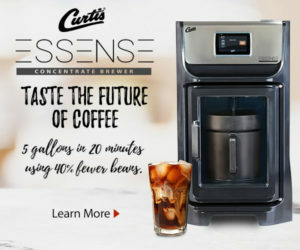 Is existing infrastructure as it relates to coffee quality or regional reputation a factor? We are a Catholic agency owned and operated by the Catholic Church. Everywhere we work, we do so at the invitation and the pleasure of the local Church. That means we can’t be everywhere. The good news is that last year we supported programs in more than 80 countries around the world, including every major coffee-growing country and lots of off-the-beaten-path coffee origins, including the Democratic Republic of the Congo, Myanmar and South Sudan. In the countries where we do work, our mission is to serve the poorest and most vulnerable people. Fidelity to that mission is always one of the key factors in determining where we will work and with whom. So while the Coffeelands Program is in some sense a highly specialized coffee boutique within an international development department store, we aren’t going to work in the coffee sector unless it helps us advance our mission to foster what we call “integral human development” among the most vulnerable participants in the coffee supply chain. 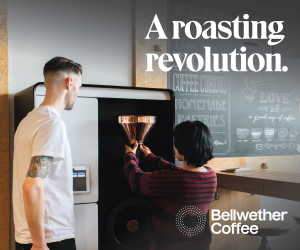 And we certainly won’t resist working in areas that don’t have a reputation for coffee quality if we believe we can help deliver positive social, economic or environmental impact. But what we have found is that the success of our projects in the field in terms of delivering access to new and higher-value markets depends on strong relationships with roasters. 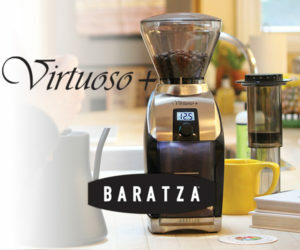 And roasters, naturally, tend to respond more favorably to origins with reputations for coffee quality. An important tenet of the new program appears to be policy work? At what levels do you envision that work taking place? And could it go so far as to help inform the individual corporate policies of private buyers? We like to use the word “influence” in reference to this aspect of our work. The most common alternative, “advocacy,” is often reserved for reference to public policy, but our vision includes what you call “informing” the purchasing practices and sourcing policies of coffee buyers in the private sector. In the public sector, we want to contribute at every level we can to policies that promote inclusion, equity, and pro-poor investment and innovation at the municipal, regional and national levels in coffee-growing countries, and also on public policy issues in the United States that impact the coffee trade. We have actively engaged at all these levels in the past through support for municipal ordinances and co-investment, regional policies and projects, and ministerial-level decision-making overseas and more recently in our support for federal legislation in the United States to increase supply chain transparency. On the private-sector side of the ledger, supporting business model innovation to make sourcing practices more inclusive, more equitable and more profitable for everyone in the supply chain is an explicit objective of our work. We have partnered with CIAT to apply a methodology we have helped to develop, field-test and refine over more than a decade. We are now entering the juiciest phase of that work in Colombia with members of the Advisory Council there to prototype innovations in the way those companies are sourcing coffee from project participants. These innovations, if they prove effective, would not only enable producers in Nariño to sell better, but they would potentially enable participating companies to buy better — not just in Nariño, but in their sourcing operations worldwide. We see this as one way we can leverage our modest investment for impact at a much greater scale. 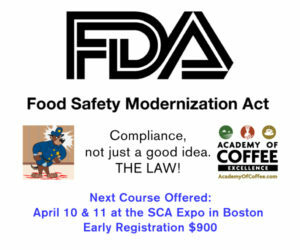 Aside from within your existing or forthcoming network of potential buyers on the industry side through the advisory council or otherwise, will this program work toward developing additional specialty market channels? Our work in the coffee sector since 2002 has been overwhelmingly focused on the specialty segment of the coffee market. Our first coffee value chain projects were implemented in the wake of the coffee price crisis of 2001 and focused exclusively on access to Fair Trade market opportunities. At the time, growers we supported in Central America reported farmgate prices as low as 18 cents per pound. Against that backdrop, Fair Trade’s promise of a price floor was attractive to say the least. While we have continued to support Fair Trade market access through our field programming over the past 12 years or so, we have also expanded our market relationships to include allies with different business models and different approaches to sourcing. But we haven’t strayed far beyond specialty, which we have found to be generally a very attractive option for smallholders who can overcome barriers to entry. Its quality focus favors the comparative advantage smallholders have in labor-intensive processes. Its comparatively higher prices create the potential for improved profitability and its focus on sustainability has driven incentives for farmer organization and strong natural resource management practices. That said, we understand that most coffee is not specialty and most coffee growers do not participate in specialty coffee markets. 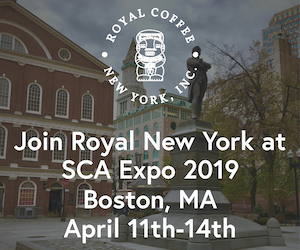 We need to expand our focus to include commercial-grade coffee if we want to be more relevant to coffee growers — those who can place some but not all of their coffee in specialty markets and those who will never qualify for specialty. 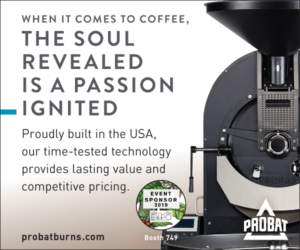 We are currently talking with some commercial roasters in connection with the Coffeelands Advisory Council and we working with Robusta growers in places like Ecuador and the Philippines. While we continue to explore opportunities in markets that reward quality-differentiated Robusta, we know that segment of the market is not yet very mature and are working to identify approaches that help smallholder Robusta growers to improve their profitability.